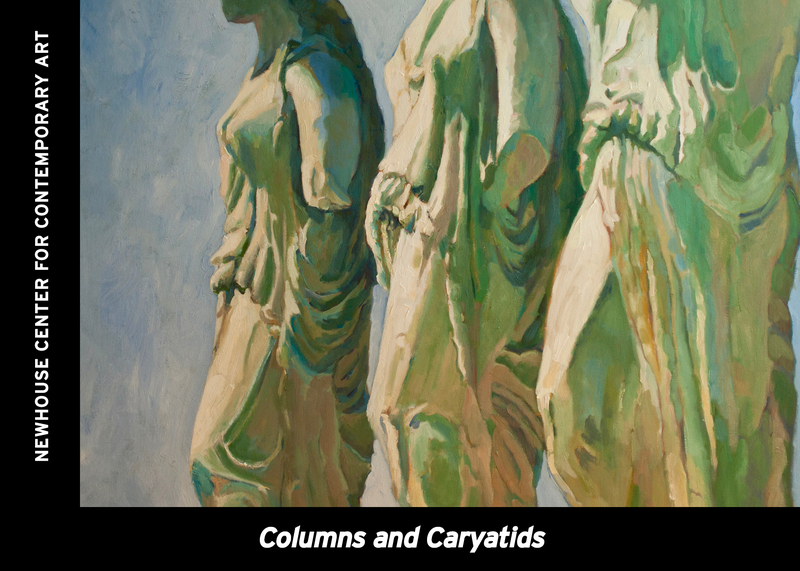 Columns & Caryatids is an exhibition of mixed media work where artist Kristi Pfister creates a forest of suspended translucent columns, monumental wall drawings, oil paintings, and intimate tile-sized work. The installation explores the concept of columns as iconic symbols of democracy and strength, introduces Dorothy Day as a modern-day caryatid leading a procession of activism, and brings awareness to the historic Greek Revival architecture of Snug Harbor. Kristi Pfister is a painter and public artist. She studied Visual Art at Barnard College, Columbia University and received her master’s degree from Pratt Institute. Pfister exhibits throughout the region and New York City. Her public artwork includes grants from the Percent for Art Program, the NYC Metropolitan Transportation Authority, the NYC Department of Parks and Recreation, and the Staten Island Zoo. Pfister is a strong advocate for Art Education, having worked as a teaching artist with many arts organizations, schools and cultural institutions in NYC. Admission to the Newhouse Center for Contemporary Art (Buildings C & G) is $5 ($4 students/seniors). Spring – Autumn hours are Thurs-Fri 12:00 – 7:00 PM and Sat – Sun 11:00 AM – 5:00 PM. RE/Configurations: art, disability, identity is a major exhibition, guest curated by Milenka Berengolc (project originator) and Margaret Chase, that is part of “Artists Undeterred,” a forum for disabled artists who exemplify bold vision and distinctive execution, and provides an expanded frame of reference for general audiences. 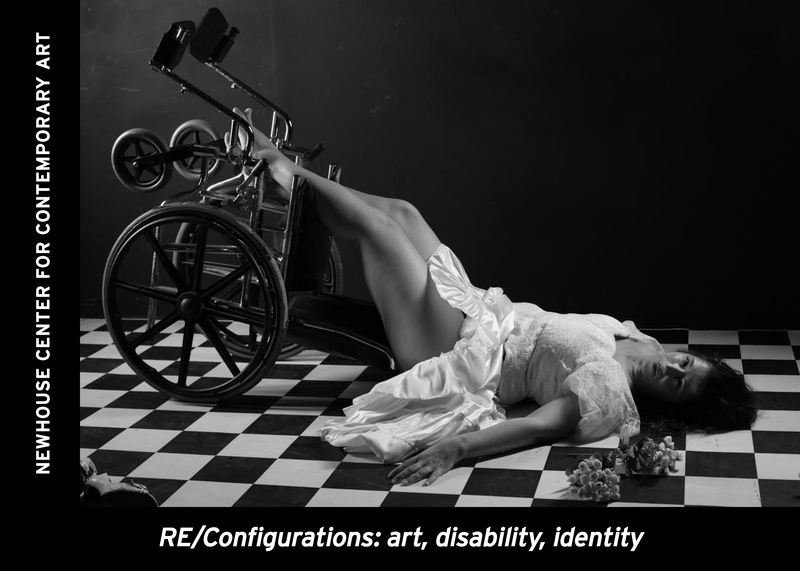 The project explores the multi-faceted relationship of disability vis-à-vis contemporary art, through the lens of creators and producers who are disabled and whose work addresses disability. Featured artists include Gema Alava, Robin Bartholick, Milenka Berengolc, Jamie Berube, Erika Boudreau-Barbee, Lisa Bufano, Monica Chulewicz, DisArt, Susan Dupor, Ryan Haddad, Antoine Hunter, Riva Lehrer, Mandem, Leroy Moore Jr., Carmen Papalia, Anthony Ptak, Gordon Sasaki, Judith Scott, Charles Steffen, Sunaura Taylor, Efrat Vaknin, Wheelchair Sports Camp, Wobbly Dance, and Chun-Shan (Sandie) Yi. The opening reception for RE/Configurations will feature ON DISPLAY, a movement installation by Heidi Latsky Dance. ON DISPLAY is a deconstructed art exhibit/fashion show and commentary on the body as spectacle and society’s obsession with body image. It turns a cast of diverse and extreme bodies into a sculpture court where the performers are the sculptures. ON DISPLAY began as a simple human sculpture court and is now a movement, a growing portfolio of works that explore and demonstrate inclusion through art. The creation of this version of ON DISPLAY was supported, in part, by public funds from the New York City Department of Cultural Affairs, in partnership with the City Council. HLD also thanks the Mayor’s Office for People with Disabilities for its continued support. Co-curator Milenka Berengolc has curated 2 major exhibitions/projects: “Life as Art”, at the Viepo Gallery, Staten Island, New York; “Healing/Transforming”, at the Snug Harbor Studios, Snug Harbor Cultural Center, Staten Island; and collaborated on a curatorial project “CURA”. She holds an MFA from Bard College in video and performance. As a performance artist and actor, she has showcased original material via numerous venues and collaborations such as the Brooklyn Museum, the State Museum of New York, Albany, New York, and the Newhouse Center for Contemporary Art, Staten Island, New York. Co-curator Margaret Chase has worked in exhibition development and interpretation, public programming and education at the New York Hall of Science, Fraunces Tavern Museum, Brooklyn Children’s Museum, the Jacques Marchais Museum of Tibetan Art, and the Science Museum of Minnesota, where she was an artist-in-residence and coordinated the museum theatre program. She also served as Vice President of the International Museum Theatre Alliance. Margaret holds a BFA Theatre from Boston University School for the Arts. Brooklyn Center for Independence of the Disabled; Pride Center of Staten Island; United Spinal Association – New York City Chapter; Kershner, Grosso & Co.; Angelica Patient Assistance Program/OPEN DOORS; Curtis High School; Staten Island Center for Independent Living; J’s on the Bay; Materials for the Arts; International Sports and Music Project Inc.; Staples, Inc. (1520 Forest Avenue, SI); Steven Wakeman; Zach Grenier and Lynn Bailey; and Go Fund Me donors (to date): Patricia & Jeff Rosen, Katie Eichhorn, Julie Ridge, Vivian Vassar, Jason Steinberg, and Susan King. Special thanks to Dr. Carrie Sandahl, project advisor; Mary Campbell, Graphics; and Kimbra Eberly, Marketing. All exhibits and artist talks are located in the Newhouse Center for Contemporary Art (Buildings C & G). Admission is $5 ($4 students/seniors). Spring – Autumn hours are Thurs-Fri 12:00 – 7:00 PM and Sat – Sun 11:00 AM – 5:00 PM. From early African explorers who stayed in America to regions where slavery was prevalent or where free people of color have historically resided, Black Indians have always been a part of the history of the new world as it unfolded in America. 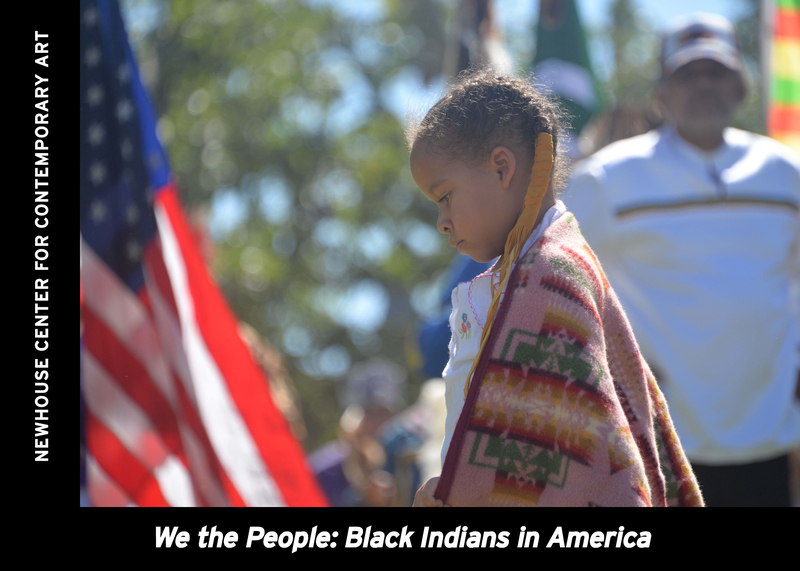 We the People: Black Indians in America is an exhibition of Fern Metcalf’s photography and storytelling which depicts the history and present-day life of Black Indians and Mardi Gras Indians living in today’s United States. That they still exist is testimony to their unending resilience in America. Spring – Autumn hours for the Newhouse Center for Contemporary Art are Thurs-Fri 12:00 – 7:00 PM and Sat – Sun 11:00 AM – 5:00 PM. 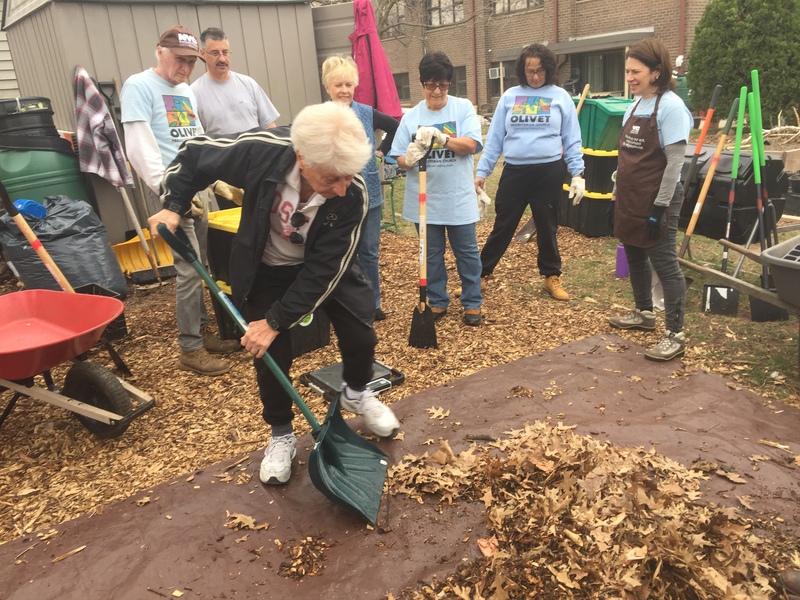 The best way to learn about compost is to make it, and attending our Turn & Learn will make you a pro. Bring a water bottle, wear closed-toe shoes and clothes you don’t mind getting dirty. If you help us make compost, you can take compost. Please bring your own container. Please note this is a volunteer event and not a pick-up event. You must volunteer at the work day to receive compost. Supplies may be limited. Registration is strongly recommended. This holiday season, the first ever NYC Winter Lantern Festival is coming to Staten Island! 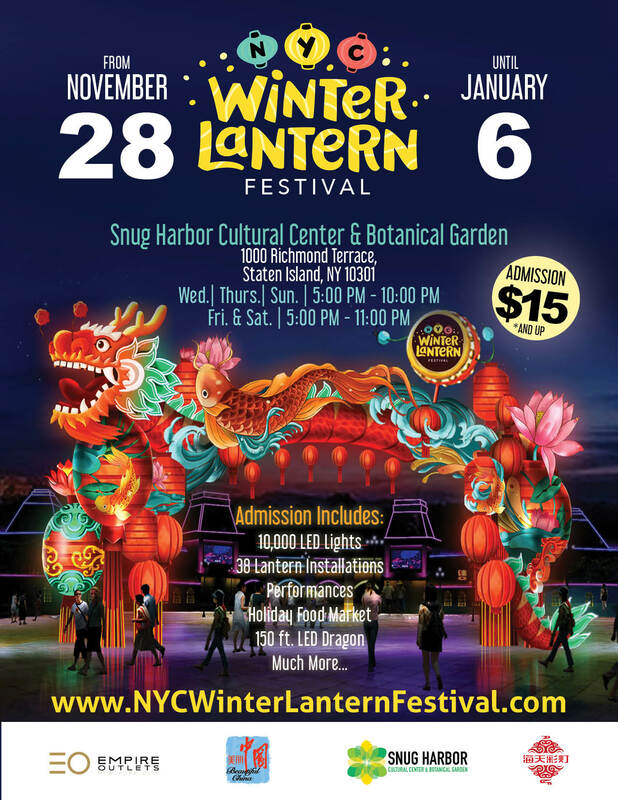 The NYC Winter Lantern Festival is the China National Tourist Office New York 2018 signature event, produced by New York Events & Entertainment (NEWYORKEE) and Haitian Culture, and co-sponsored by Empire Outlets and Snug Harbor. Between November 28, 2018 and January 6, 2019, seven acres of Snug Harbor Cultural Center & Botanical Garden will be illuminated by 40 LED installations that stretch up to 30 feet tall. The LED lanterns will be accompanied by live performances of traditional Chinese dances and art. Along with this, NEWYORKEE is partnering with a variety of holiday vendors to create an experience for guests of all ages. Stop by and browse a mini-market of talented artists and crafters at Art Lab in Building H! Find something for everyone on your list as you support the arts. 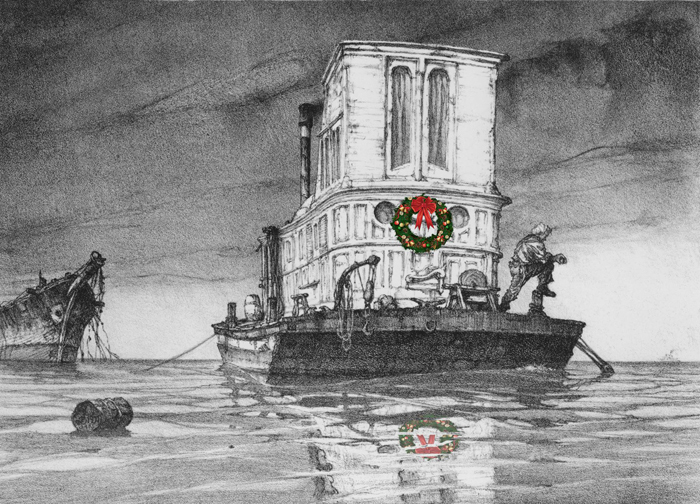 The Noble Maritime Collection presents its annual holiday market, Culture Shop. In the museum’s ongoing effort to support local artists, Culture Shop will feature handmade crafts and works of art by 21 artists and craftspeople. 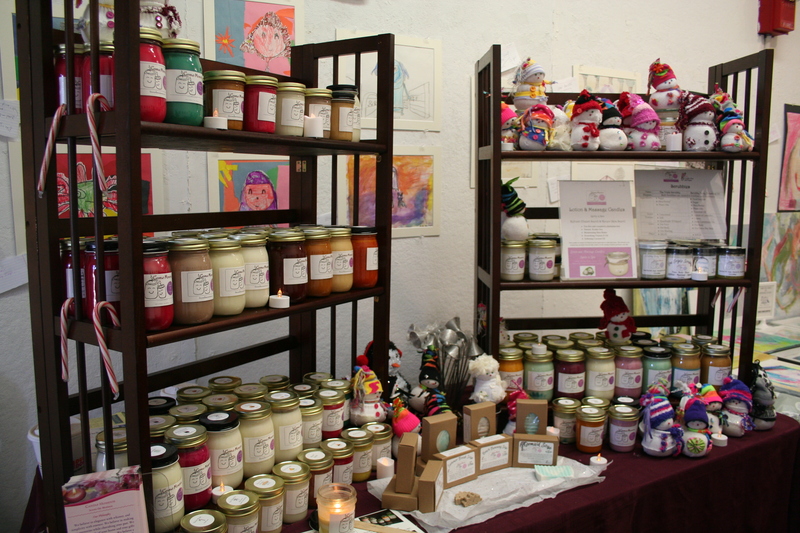 Some of the unique gifts that will be available include handmade jewelry, cards, art, dolls, origami, ornaments, photography, pottery, scarves, soap, jam, and tote bags. The Noble Maritime Collection’s museum gift shop will be fully-stocked with our selection of affordable art, toys, and books, including our latest publication, Perspective: Robbins Reef.